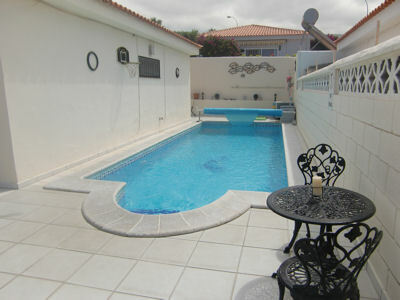 Villa Katie is a beautifully refurbished three bedroom villa with wonderful sea views and private heated pool. The chill-out area with barbeque is private and not overlooked and the villa is just 2 minutes walk from the village centre. There are three double bedrooms, kitchen with oven, hob, microwave etc and two bathrooms. with washing machine, fridge, oven, hob, microwave, toaster, kettle, sandwich maker, iron and ironing board etc.